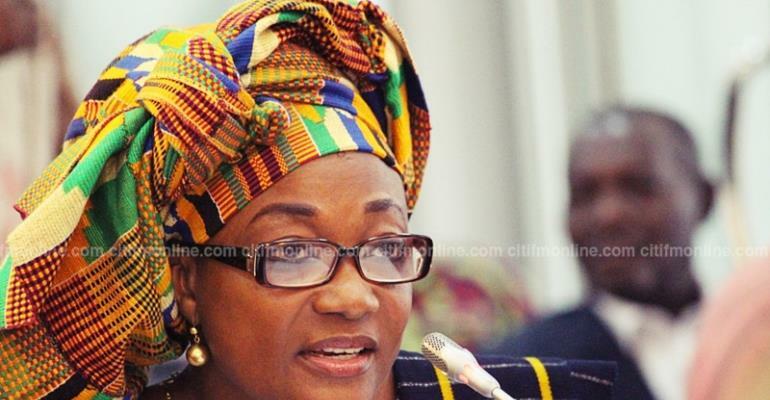 Minister for Gender and Social Protection, Otiko Djaba has assured Parliament that the 4-year-old girl who was allegedly defiled at Assin Adadietem in the Central Region is in good condition. Otiko Djaba briefed the House on the issue following a question filed by Member of Parliament (MP) for Pusiga, Laadi Ayamba, demanding answers on how much progress the Ministry had made in the case. The four-year-old girl, who was believed to have been defiled by an 18-year-old, is said to have bled for three days, according to her parents. “The girl was also sent to the Cape Coast Teaching Hospital for further medical examination at the request of the Police of Assin Fosu”, Otiko Djaba added. The incident sparked outrage amongst the public when it was first reported, and prompted campaigns in support of the alleged victim and awareness creation on the rate at which minors are being defiled. The public became even more incensed after it was revealed that a chief in the area had declared the suspect innocent after a ruling from the gods. The Minister indicated that hearing of the case against the accused is expected to resume on March 1, adding that her outfit is still pushing for the suspect to hand himself over to the Police. Madam Otiko had earlier expressed concerns over the rising spate of sexual abuse in Ghana, noting that in 2015 alone, DOVVSU recorded defilement 1,196 cases, with only 16 not involving a girl-child.